Sending your baby out into the world is a scary scary thing. Back on Facebook at the beginning of 2011 I made a promise to send a ‘handmade’ gift to the first 5 people who commented on my post (a meme that was going round). Fairly fresh from writing 50,000 words in NaNoWriMo 2010 I had hoped to double that word count to a full first draft and polish it up a bit by the end of 2011 so I suggested a copy of my ‘handmade’ (Well I did type using my hands!) novel. But, real life got in the way and I didn’t touch the work until NaNoWriMo 2011 in November and I only managed to add an additional 10,000 words. By the time the end of December was approaching I was aware that my work was not up to the standard I would have hoped; being pretty much a piece of stream of consciousness writing. But, I had promised. I used Scrivener to make what I had into a Kindle Version – apologised for the typos and inconsistencies I knew the book contained and sent it to the 5 people I’d promised (plus a few more – the handmade group did get a novel related painting too). And I didn’t have to wait too long. So far four of my friends have read and commented on the draft. All have encouraged me to continue working on it. I am very grateful to them all for spending the time to read it especially with critical commentary in mind (I know some of them took notes as they read). I did particularly encourage some positive comments too (for my ego), asking questions along the lines of ‘What aspects did you really like, so I don’t remove them in the editing process? !’ They’ve also come up with really helpful suggestions on what I could do with the scenes that needed more development/the missing middle part. How much do you incorporate feedback from beta-readers into future drafts and how do you ensure you remain truthful to your original concept? How soon into a draft would you normally let anyone read what you’ve written? Also do you find there a difference between the advice you get from beta-readers who are writers too as opposed to more voracious readers? How do you let yourself accept the positive comments and balance this with the fears that those who haven’t commented hate it (when in reality they probably just haven’t had time to read it!!)? Do let me know about your beta-reader experiences too. 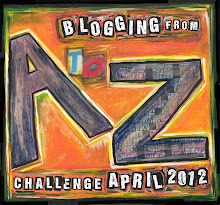 Posted on April 2, 2012, in #am writing (and all things writing related), April A-Z Challenge, Training Time (WIP) and tagged A-Z 2012. Bookmark the permalink. 14 Comments. Learning when to take feedback and not is an artform. Know your audience and what they want and expect, and don’t compromise your style and voice. Thanks for the advice, there’s so much to learn, think I’m making progress (slowly). Hi there: When I was writing my first book and completed the second draft, I contacted several editors. After interviewing each one, I selected the one that was most interested in my genre and whom I thought I could work with personality wise. That worked out pretty good and she was extremely helpful. I’m working on my second book and will be looking for another editor. First book was published by Omnific Publishing (yaaaaa!). Hi Feather – thanks for coming along to comment (and for the offer of a copy of your book – I’ve e-mailed you). I think you are right that you need to be able to work with people personality wise so I’ll keep that in mind when I’m a bit further along and looking for an editor. Thanks. Hi Kirsty – very interested to hear that you too responded to the NaNoWriMo and subsequently published the results. Witch Nun Shaman’s Drum first draft was the result of that competition and like a nit, I didn’t engage a professional beta-reader. I had a friends go through it – none of whom would offer anything but breathless enthusiasm … mistake. Number Two in the Wiccan Drum triology is WIP and the same mistakes won’t be made this time around. 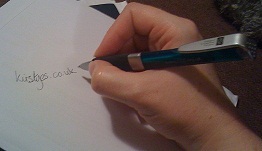 Even if the finished draft goes to another writer, it will be sent to an unbiaised third party. Hopefully I’ll have the cash to pay for it to be done properly. Not published yet – still working on it. So far I’ve only had friends go through it but totally recognise that I need some more professional guidance but really don’t want to do that until I have a full story and I’ve tidied it up as much as I think I can. Thanks for the advice. I think that’s my fear a little is that friends are too nice, though they have been critical too which is good. But then on the other hand if they are the demographic of readers I’m interested in then their input is extremely valuable, I suppose everyone comes with their own ideas and I have to judge which ones fit in with my vision of the book. So did you self-publish? Good luck with the WIP. My views on what I did wrong when I self-published – feel free to benefit from my mistakes. I’m heartened that over 1200 copies were downloaded during the recent freebie campaign so there IS a market for it but I handled the final draft, the launch and publicity all wrong. As I said, next time will be better, if we learn from our mistakes we progress and thanks for good wishes. Thanks for the link – advice I will pay attention to. Though I hope to maybe try the traditional publishing route first. I wish you the very best of luck – I wasn’t that brave being pathologically thin-skinned & averse to rejection. One day, maybe, when I’ve made my mistakes with the self-published ones. My current WIP is the first time I’ve ever used beta readers. (It’s also the first time I’ve written with the intention of being published.) It took a lot of courage to put it out there, but I went into it asking for honest and constructive feedback from the people who agreed to read for me. I allowed myself to listen instead of defend. Overall, the experience has been good. Feedback from readers, although positive, hasn’t given me much to go on. “I love it, give me more!” although encouraging, isn’t telling me what I’m doing right. On the other hand, the writers I’ve shared my ms with have been very helpful. With regards to how soon I’d share with my beta readers: After the first edit. Do I take all advice? Certainly not. But if more than a handful of people say, “I’m not sure what you’re going for here,” whether I think it’s brilliant or not, I’m going to look at it a second (or third) time. Good luck during A – Z! Thanks Tracy really helpful responses there. I’m definitely hoping to get some writers to take a look at the edited full draft. Hope your WIP is developing nicely. I have a friend who we constantly swap chapters as we write. Mostly, we cheer each other on with little criticism. When it comes to beta reading, I wait until the MS is done and send it out to another writer. The difference I’ve found between having a reader beta my story and a writer is the writer is way more critical and asks harder questions about the plot. Where as the readers I’ve had read my stories mostly point out small errors or things they feel sound funny when reading. Thanks for your comment Patricia – it sounds as though I’m definitely in need of finding someone more objective for the later stages of review.